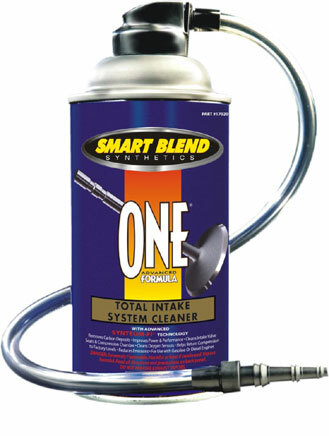 SMART BLEND SYNTHETICS One Formula Total Intake System Cleaner with advanced SYNTEUM-FI Technology. Provides complete cleaning by safely and effectively removing carbon build up, cleaning vehicle's upper engine and intake systems from the plenum to the catalytic converter. One Formula Total Intake System Cleaner helps eliminate rough idling, knocking, pinging and engine run-on while reducing emissions and improving power and performance in one advanced formula. One Formula Total Intake System Cleaner's no hydro-lock application process eliminates hydrostatic engine lock guaranteed!